Burning toast, a sizzling sidewalk, volcanoes at the science fair – and not a firefighter anywhere! Ted has to help. It’s the least a little bear can do! 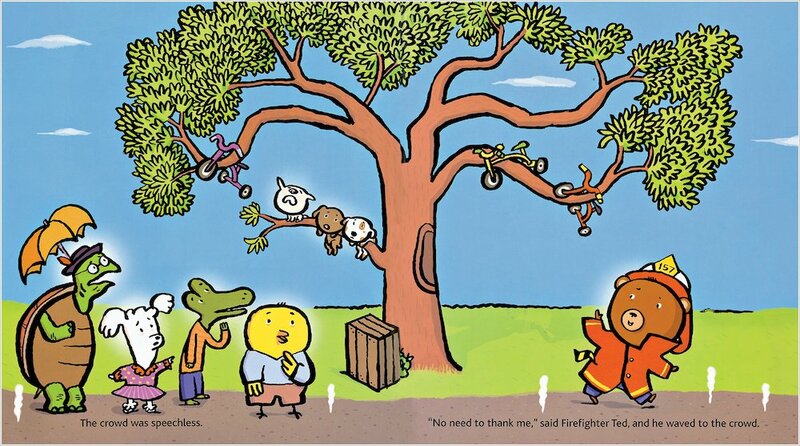 A cheeky little firefighting bear causes chaos in this delightful picture book story. Danger is everywhere, and he starts the day by putting out a fire in his breakfast toast, and rescuing a kitten, two puppies and three tricycles. 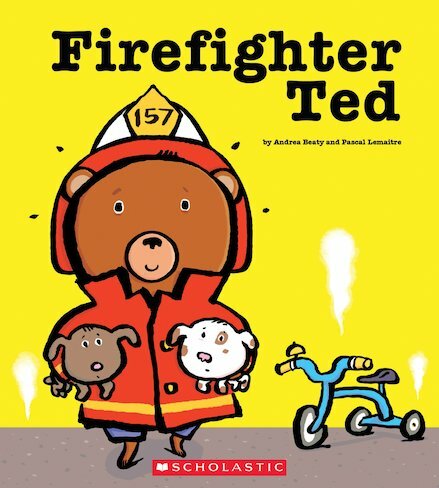 When he finds Principal Bigham blocking the path to the fire alarm at school, Ted removes him with his ropes. Tempers are hotting up all around our oblivious little hero – until he saves the day by putting out a fire in the Principal’s pants! A hilarious make-believe adventure starring a troublesome little teddy.